"Loss demands repayment". 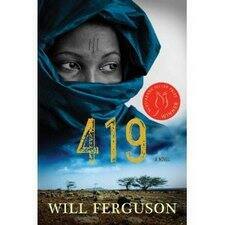 It's a line stated clearly towards the end of Will Ferguson's Giller Prize-winning book 419. But the theme runs throughout the book, in which a Canadian man is duped into a Nigerian internet scam -- and in which all the characters, both scammers and the scammed, are out looking for retribution. Will Ferguson will be on stage talking about all those characters with Alan tonight at the Ottawa International Writers Festival (7pm at Southminster United Church), but first he joined us in studio.